Wonton soup is probably best known Chinese soup in North America. There are many versions of not only fillings but also shape of the dumplings. I usually make the simple traditional triangle wontons. 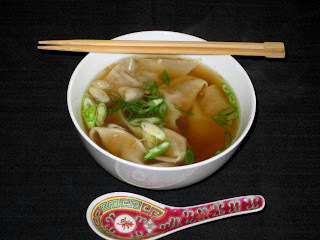 If you have a stock and ground pork on hand it is very simple and fast comfort food to prepare and can be a whole meal in itself, just fill the soup bowl with wontons is all it takes. Put all ingredients in a mixing bowl and mix until thoroughly combined. 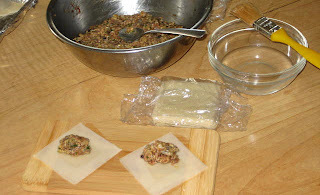 Working on a flat work surface, lay out a few of the wontons. (Keep remaining wonton wrappers covered with plastic wrap.) Fill a small bowl partially with cool water and set aside. 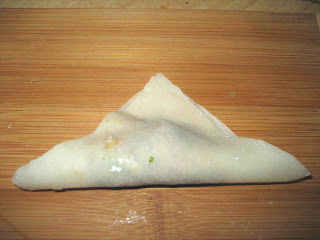 Using a teaspoon measure, place a heaping teaspoonful of the meat filling in the center of each wonton. 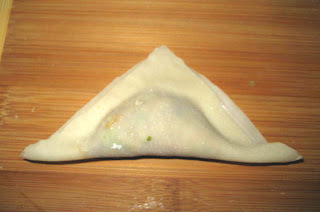 Using your fingers or brush, lightly wet the edges of the wonton. 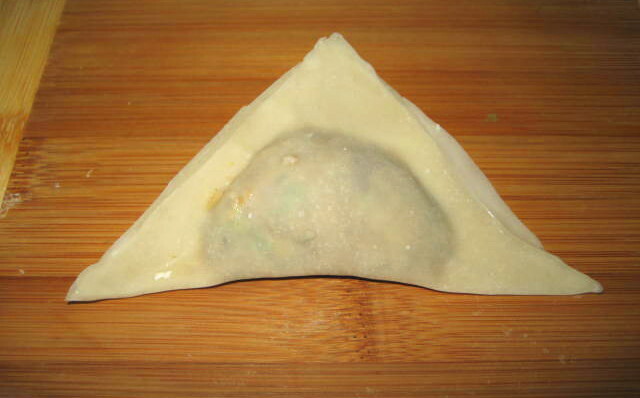 Bring 2 opposite corners of the wonton together to form a triangle and enclose the filling, pressing edges firmly around the mound of filling to eliminate any air pockets and seal. Assemble the remaining wontons in the same manner. When the wontons are all assembled, set aside. In a sauce pan or soup pot bring stock, soy sauce, garlic and ginger to boil. 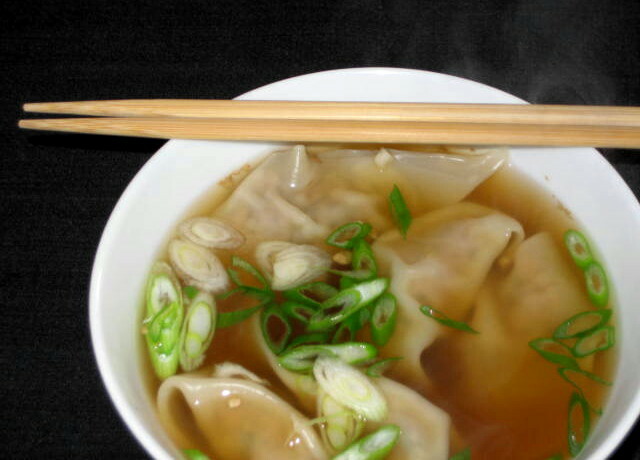 Carefully drop wontons into soup and stir to separate them. After dumpling come to surface, simmer additional 5 minutes and serve with chopped green onions. and press around filling to squeeze out air.